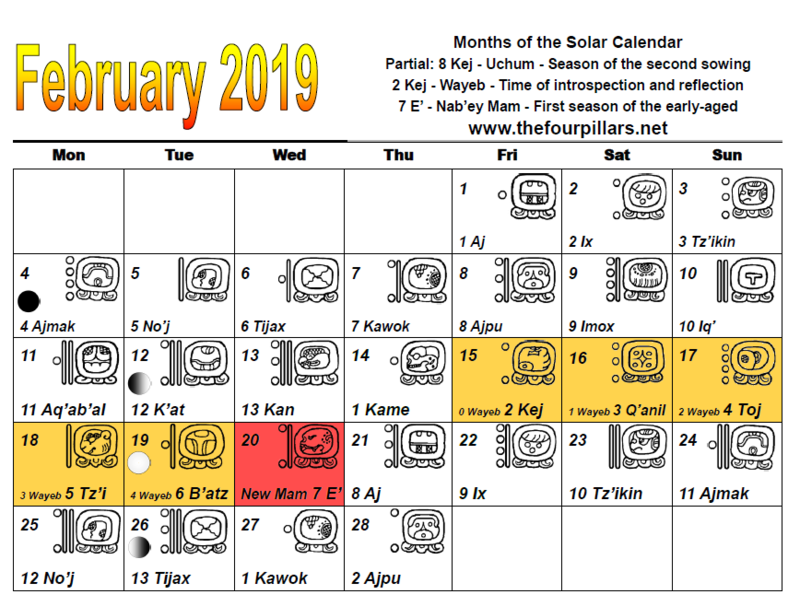 Here are the days of the Chol Q’ij mapped on to the Gregorian month of February 2019. If you would like a calendar for the whole of 2019, they are available for purchase here as physical copies within Guatemala or pdf electronic versions for the rest of the world. A limited number of physical copies are available for order in Europe. In this Gregorian month we have a big event, the new solar year. 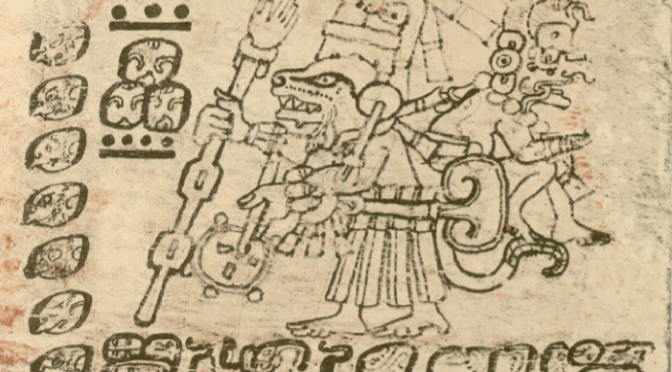 The arrival of the solar year begins with the five days of Wayeb, which starts on 2 Kej (15th February) and lead us up to the new solar year 7 E’ (20th February.) This should bring a distinct change in energy, from the strong, challenging year of 6 Kej, which we have been experiencing since February 20th 2018.